OTTAWA – October 1, 2014 – Recycle My Cell, Canada’s recycling program for mobile devices and accessories, announced today that registration for the fifth annual Recycle My Cell Student Challenge is now open. Canadian students from kindergarten to post secondary are challenged to recycle as many old wireless devices and accessories as possible between October 20 and November 21, 2014. In addition to doing a good thing for the environment, students could also win $500 for their school to use for green initiatives. As the national sponsor of Waste Reduction Week in Canada, held from October 20 to 26, Recycle My Cell will kick off the Student Challenge on October 20. The Challenge, running until November 21, will see thousands of Canadian students helping to reduce the amount of e-waste that goes into Canadian landfills, and also raise awareness about the importance of cell phone recycling. The school in each province and territory that collects the most cell phones (based on school population) will be awarded $500 to be used towards a school environmental project. As a participation prize, eligible schools will receive $1 for every phone they collect and recycle through Recycle My Cell (up to a maximum of $1,000*). 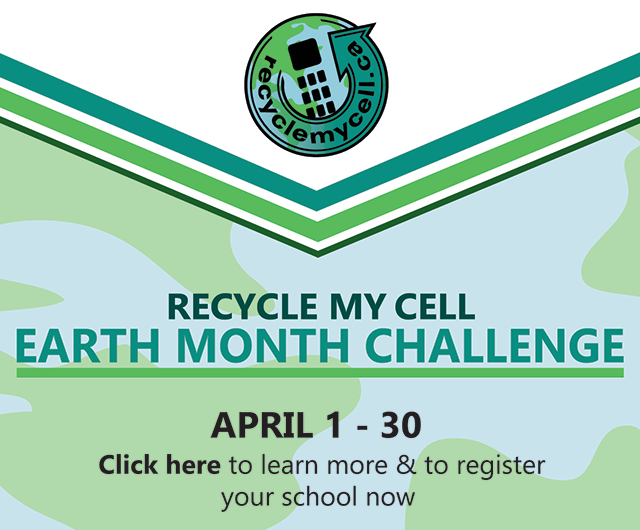 All schools and post-secondary institutions can register at http://www.wrwcanada.com/recycle_my_cell. Recycle My Cell will provide everything needed to easily set up a Recycle My Cell collection site. Upon closing of the Challenge on November 21, participating schools can drop off their boxes at any Canada Post location for free shipping. The Recycle My Cell Student Challenge is made possible by the generous support of the Recycle My Cell Partners: Bell, BlackBerry, Eastlink, GEEP Inc., Google, GREENTEC, LG Electronics Canada, Inc., Lynx Mobility, Microsoft, MTS, ProMobility, Rogers Communications, Samsung Electronics Canada Inc., SaskTel, Sony of Canada, Tbaytel, TELUS, Videotron, and Virgin Mobile Canada.